To reach this level is not easy. You must be an excellent professional, have ample dive training experience and know ACUC standards, training methods and procedures very well. You must already be at least certified as an Open Water Instructor. The next step is the Advanced Instructor level. 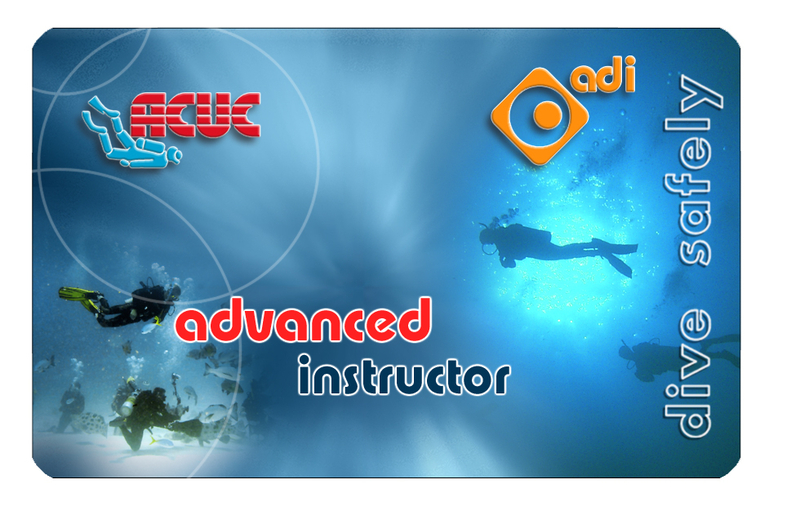 As an Open Water Instructor you can obtain the Advanced Instructor rating. You will be able to do what the Open Water Instructor does (see “Turn Professional”), and you will be able to also certify Assistant Instructors. You may also teach but not certify the Entry Level Instructor level. This an optional certification. As an Advanced Instructor you can obtain the Instructor Trainer rating. You will be able to do what the Advanced Instructor does (see above), and you will be able to also certify Entry Level Instructors and do Instructor “crossover” courses for Instructors from other ACUC recognised organisations, certifying them up to and including the level of Open Water Instructors. You may also teach, for candidates that are not yet Instructors, but not certify, the Open Water Instructor level. Minimum age is 22 years old. The ACUC Instructor Trainer Evaluator is an honorific certification, therefore there are no training standards or specific training program involved. It can be obtained by those ACUC Advanced Instructors or Instructor Trainers that fulfil a series of prerequisites. This certification can only be offered by the President or CEO of ACUC, either at their own decision or as a request of at least one ACUC Instructor Trainer Evaluator. This certification will only be offered on an ACUC need basis, therefore, is not a certification that can be obtained following any parameters or specific training. Minimum age is 24 years old. Instructor Trainer Evaluators are able to train and certify all levels, up to an including the Instructor Trainer level. 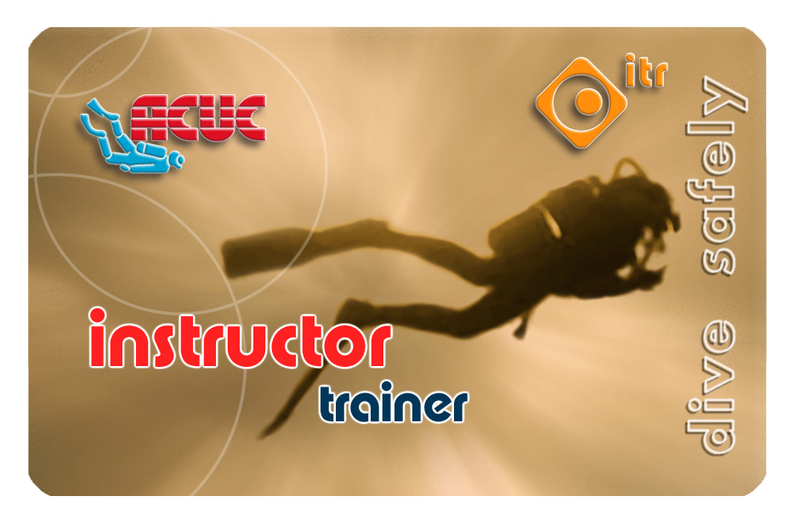 The Instructor Trainer Evaluator must work, in Dive Training related matters, exclusively with ACUC, unless previously approved by the ACUC President or ACUC CEO.